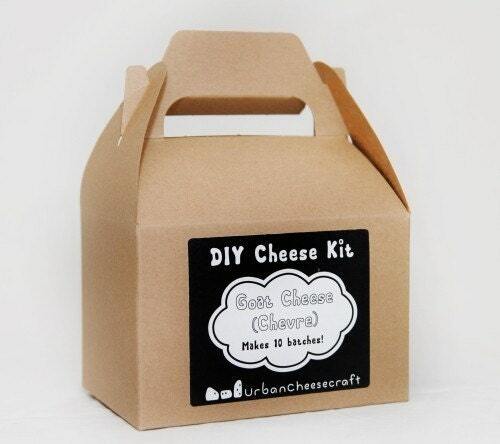 Find Kits | Urban Cheesecraft- DIY Cheese Kits and Cheese Making Supplies for Urbanites with Country Appetites! You may purchase cheese kits and supplies easily by clicking the kit to your right. It will take you to our Shop. We’re incredibly lucky to attract amazing people and businesses to our kits. See below for extraordinary shops in Portland and beyond who order kits from us (or our equally delightful distributor, Provvista). Alberta Coop Grocery is a great neighborhood market as well as Urban Cheesecraft’s very first wholesale account in Portland! They are so supportive to local businesses that they have a special place in my heart. Pick up a kit, along with milk and a great bottle of wine to go with your cheese! Urban Farm Store is an awesome store that sells chicks, feed, and all kinds of other urban homesteading supplies. They carry the kits and go beyond by offering our refill supplies (citric acid, rennet, salt and cheesecloth). Food Front Co-op‘s two locations now sell kits and since they also sell Sunshine Dairy and Organic Valley milks, it’s one stop shopping! 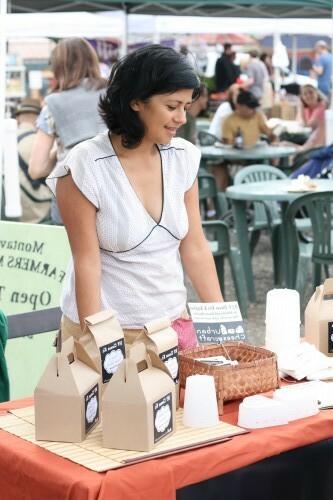 Eight out of nine New Seasons Market locations in Oregon now sell the Mozzarella and Ricotta kits! The location that will not sell them quite yet is Concordia. Foster and Dobbs sells over 100 cheeses, saffron pollen, smoked salt and cheese kits! Stop in for a fruit and cheese platter, umm. Mirador Community Store will inspire many kitchen projects after your visit there, it’s my kind of store! They sell sprouting supplies, juicers, bread making supplies and now, cheese making kits and refill supplies- yayy! Cheese Bar is a fancy cheese and fancy beer but with no attitude type of place- I love it! If you haven’t stopped in and met Steve, do. He’s a very cool guy and oh so knowledgable about cheese! He has stocked all kits off and on, including the deluxe kit so stop in asap! I can’t believe I’d never been to Elephant’s Delicatessen in NW Portland! They now carry cheese kits but do yourself a favor, go get a delicious crusty pizza (and some spicy salami) with a chocolate dipped macaroon for dessert!- To. Die. For. For some people, “making it” in business means Oprah, for me it’s Powell’s Books in Portland, OR! Find cheese kits in the gifts in the unique gift section at the W. Burnside location! Several Whole Foods Market locations in the Pacific Northwest now carry kits. I’d call ahead to make sure your store has them. Cannon Beach Cooking School in Cannon Beach, OR is creating more cheese makers with our kits- yay! Salt water ricotta like mama used to make anyone? http://allysonskitchen.com/”>Allyson’s Kitchen, a specialty cookware and cooking class locale in Bend, OR now carries kits as well. The very cool Central Co-op’s Madison Market in Seattle carries the mozzarella, chevre and paneer cheese kits and was our first account in Washington! I just read their newsletter and it seems they are allowing customers to order 5 gallon buckets of local milk! That’s a weekend of cheese making…I hope someone in Portland starts offering this! Whole Foods Market locations in Washington have joined the party! Find kits at the Westlake, Interbay, (Seattle), Redmond and Bellevue, stores in Washington. De’Laurenti in the famed Seattle Pike Place Market in Seattle, WA now carries kits- can you believe I haven’t been there yet!? It’s a crime really. Specialty grocer chain, Metropolitan Market in Washington carries kits now! Our first California shop is the amazing Home Ec in Los Angeles. Jenny features crafty classes and cool handmade wares. I believe Home Ec is the only other place to get our kits online beside our site (an important type around holiday season when we sell out!). It’s was only a matter of time before cheese kits made it to Sonoma, California right? Stumble into the neat, Junipero and Co. and pick up a delectable gift or two. The Steel Fork is a neat online store run by Ben and Kate Gatski. They also make really cool sculptures from recycled farm machinery. Ben used to be an organic dairy farmer so they both make cheese! They now carry our mozzarella kits. If your shop, cooking school or other cheese-loving venture is interested in creating a wholesale account, email Ben at Provvista, bens at provvista.com (when sending him an email, just replace the ‘at’ with the @ symbol, this prevents him from getting spam :)). He’ll get you all set up. Thank you and check back for updates in your area!